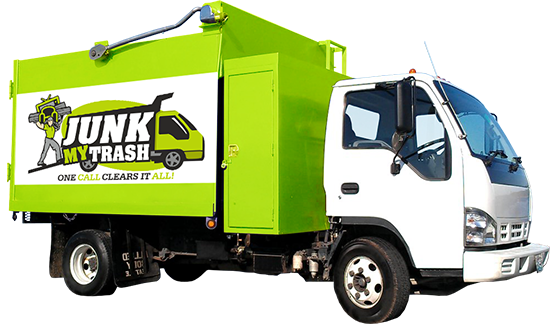 Junk My Trashis the one stop company you can count on to help you through getting rid of unwanted and not needed items inside and out side your property. We are a local and family operated environmental conscious cleaning service and junk removal business striving to attain 100% customer satisfaction. We are available 24 hours 7 days a week for same day service. We service the entire New York Metro and can arrange for services outside our coverage area upon request. New York City, Queens, Bronx, Brooklyn, Long Island, Staten Island, Nassau County, Suffolk County, all of Northern New Jersey, West Chester County, and more! With our lowest price guarantee,you can rest assure that you will not only get the best price for the services you need, but the highest level of customer service and quality in the industry.We are not a franchise!Therefore, our prices are not based on regional income or statistics. We don?t have to meet a quota or pay royalty fees.In addition our staff is not commission based, so there's no hidden fees or motivation to over charge!We are a local and family operated service business, which relies on our work ethics and professionalism to obtain 100% complete customer satisfaction. We will do what ever it takes and will go the extra mile to ensure that you receive the customer service and professionalism you expect. Top notch service, Anthony was very helpful and definately kept his word on giving us a stress free clean out experience. I definitely recommend Junk My Trash..... Ask for Anthony! Junk My Trash is awesome - easy to schedule, arrived on time, carted off all of my old furniture and stuff i had in my attic for years and with a smile. Their rates were quite a bit less than most I contacted. Can't go wrong with these guys and I'll be calling him again when I need junk removal. © 2019 Junk My Trash. All rights reserved.